Maximize productivity while ensuring the best value with the business-ready ThinkPad E480 laptop. 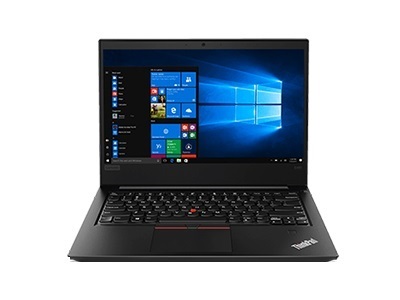 Essential power and ThinkPad durability combine with a slew of security, sleek design, and standardized connectivity to give your business what it needs to get ahead. The thin and light E480 was built for the road warrior. The ergonomic keyboard was engineered for comfort and accuracy. Its backlighting lets you use it in low-light surroundings and complete tasks despite the late hours. And with up to 13 hours of battery life, you’ll get a lot of uninterrupted time without worrying about electrical outlets.